The DDAS had a stall at the 2009 Aston upon Trent Well Dressing on Saturday, 11th July 2009. 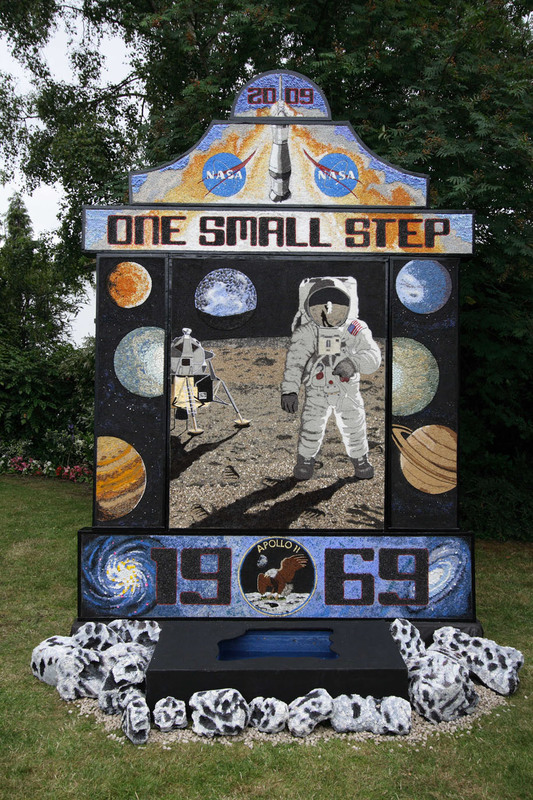 Like the Derby City Well Dressing two weeks before at which the DDAS also had a display, the Aston event was themed around the 40th anniversary of the first moon landing. 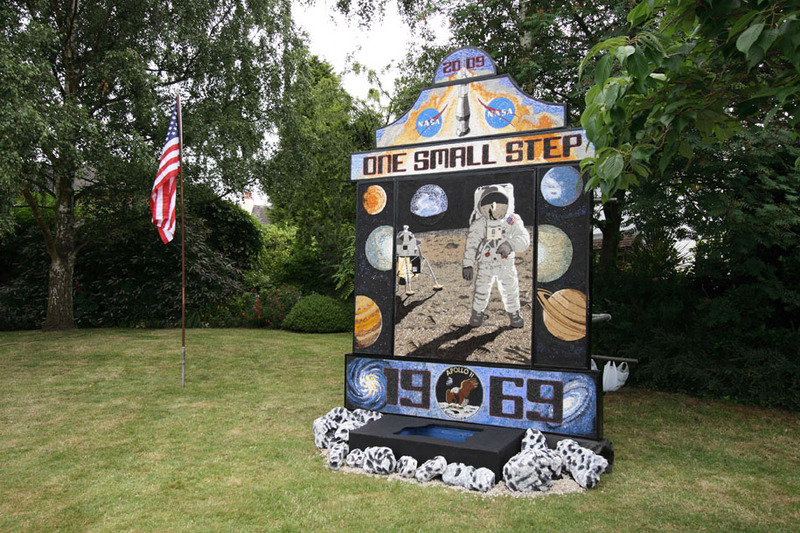 DDAS member Tony Razzell and his wife Cathy were involved in the organisation of the Aston upon Trent Well Dressing and we thank them for enabling the Society to be invited. 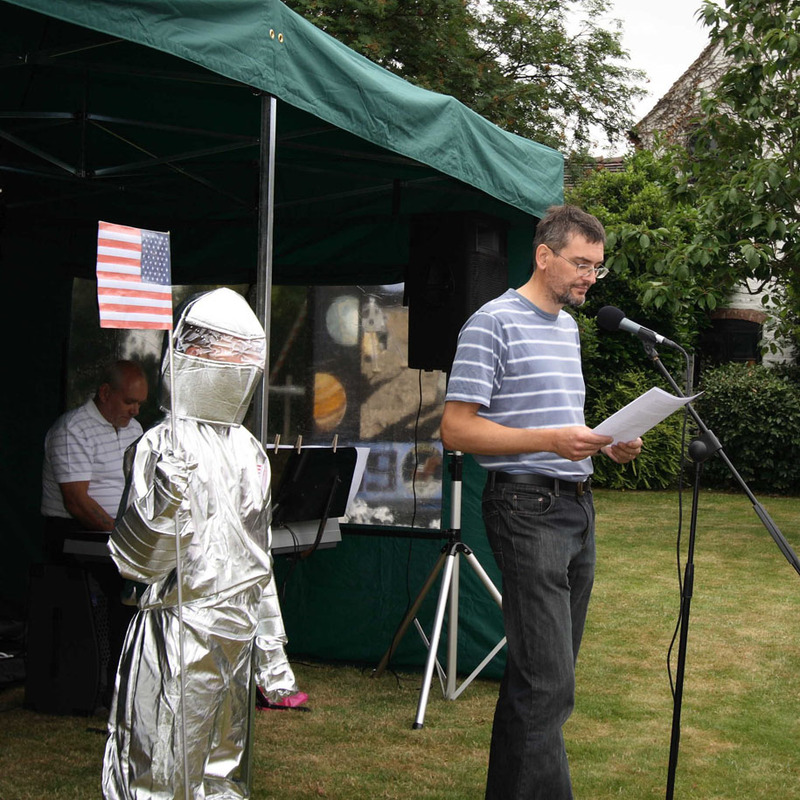 During the opening ceremony Tony gave a short speech on the first moon landing and encouraged attendees to visit the DDAS stall. 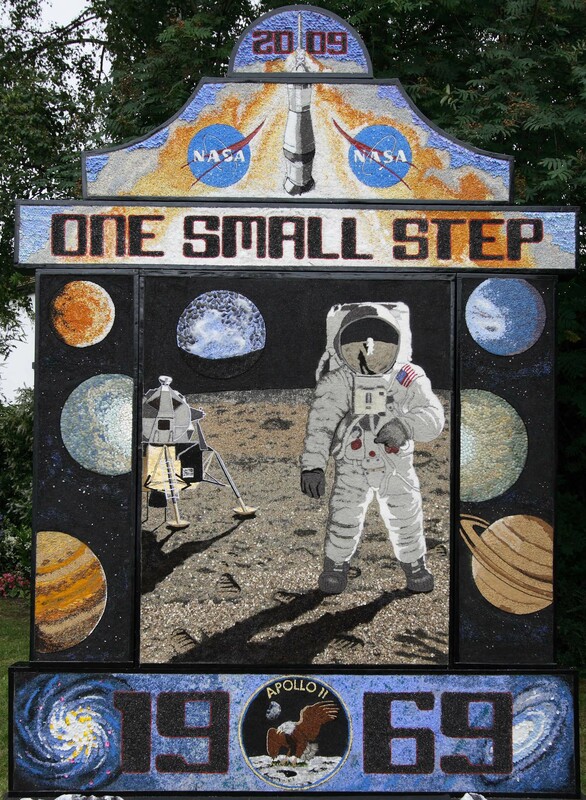 There were actually several well dressings placed around the village but the main well dressing depicted Buzz Aldrin standing on the lunar surface with the lunar module in the background and was an absolutely superb piece of artwork as the pictures below will testify. Our own stall was set up with many others next to the Malt Shovel pub. For the first time we were able to make use of our own display boards which we had recently purchased for such events. These provided many examples of member's astrophotography and illustrated our observatory and Society activities. We brought along our LX-90 telescope and conducted some observations of the Sun using a special solar filter. Mike Dumelow brought along the DDAS moon globe, signed by a selection of Apollo astronauts as well as Patrick Moore and others. DDAS Chairman Anthony Southwell also provided a model of the Apollo lunar module that he had constructed. 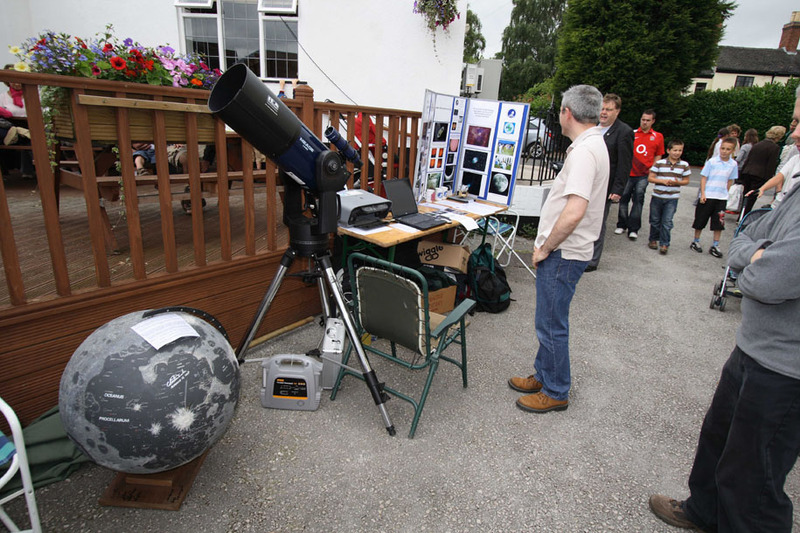 The Malt Shovel kindly provided us with electrical power so that we could run presentations on the Society laptop showing more examples of DDAS member's astrophotography, and also print out 4" x 6" copies of these pictures for sale using a printer provided by Tony Razzell. All pictures on this page are by Chris Newsome. DDAS member Tony Razzell says a few words about Apollo at the opening ceremony. The main well dressing and US flag on The Green at Aston upon Trent. Detail of the main well dressing. Click here for a full resolution version.